Whether for business or personal use, a projector can be an invaluable tool. A portable battery-powered model in particular can create a great presentation experience no matter where you are working, such as a coffee shop. Hell, you can even use a portable projector for watching movies -- set up a little viewing party in a tent while camping, for instance. Today, a company called AAXA launches a new portable projector, and it looks quite stylish. 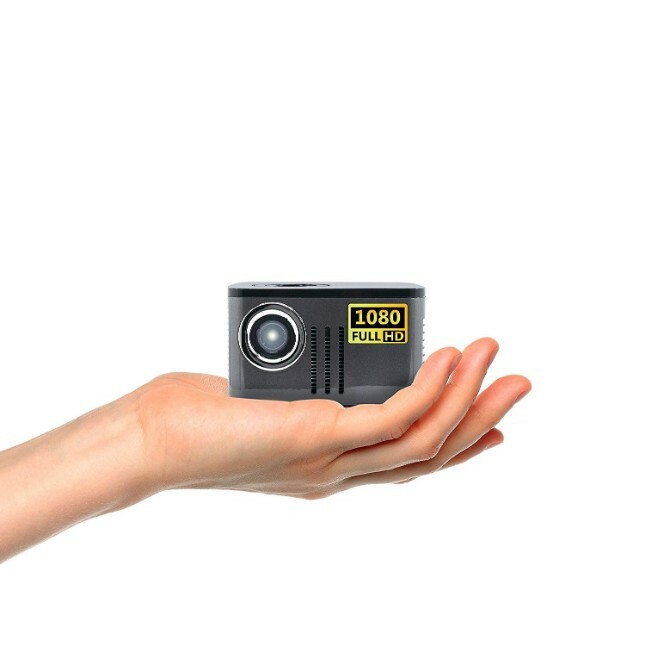 The "P7 Mini Projector," as it is called, features a removable 10,000mAh lithium-ion battery, which promises 90 minutes of use at 450 Lumens. When plugged into a power source, the projector can do 650 Lumens. "The P7 delivers true native 1920x1080 pixel resolution without upscaling or marketing gimmicks. True 1920 x 1080 pixel resolution is made possible through advances in pico optical technology and Texas Instrument’s 4th generation DLP imager technology. These advances enable the P7’s 1080P resolution to reside in the smallest form-factor ever. This makes the P7 one of the only small-form factor battery-powered mini projectors to offer native 1080P resolution," says AAXA. 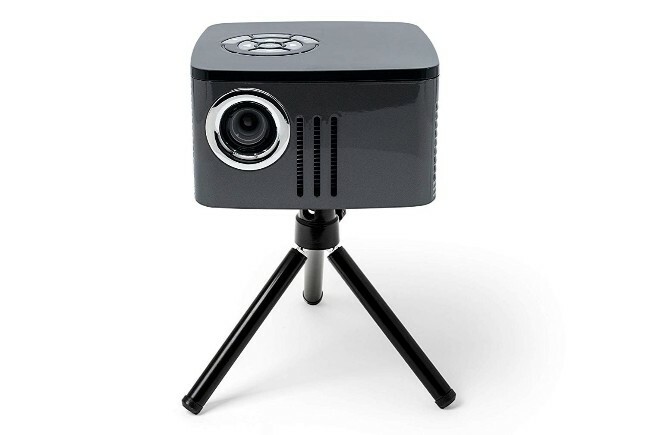 The company further says, "The AAXA P7 Mini Projector employs a full solid-state LED light-source. The advantages of solid-state technology include durability, long-life (30,000 hours), and bright, vivid color. The AAXA P7 portable projector features an onboard media player capable of directly playing videos, pictures, and music through a USB stick or TF card. With a powerful 1.5 watt speaker and battery, the P7 is a true all-in-one entertainment projector. Additional connectivity features include HDMI compatibility, VGA port, AV port, and 3.5mm headphone port." AAXA shares the following specifications. If you think the AAXA P7 Mini HD DLP Pico Projector can benefit your life, it can be had immediately for $399.99. It is currently available at Amazon here.